This post will be constantly edited to show the latest update. 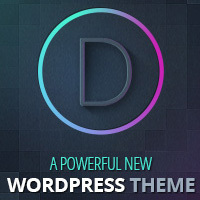 PSD files not included WP Remix a WordPress powered master theme, is completely customizable, quality coded & comes bundled with many layout options that helps everyone create custom websites in minutes. Detail theme documentation, WooNinja support forum, grid-based layouts. PSD files included the Developer package Woothemes are all built on a solid code framework which we have fine tuned over time. With a new backend to let you easily control the theme options and multiple theme styles to every theme, it won’t take you long to get up and running. StudioPress is a place to get professionally designed themes for your business website. If you are a small business or an individual looking to establish your online presence, you are definitely in the right place.